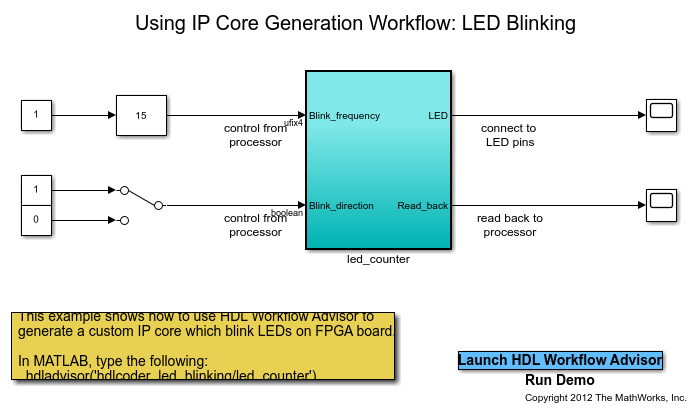 This example shows how to use the HDL Coder™ IP Core Generation Workflow to develop reference designs for Intel® parts without an embedded ARM® processor present, but which still utilize the HDL Coder™ generated AXI interface to control the DUT. 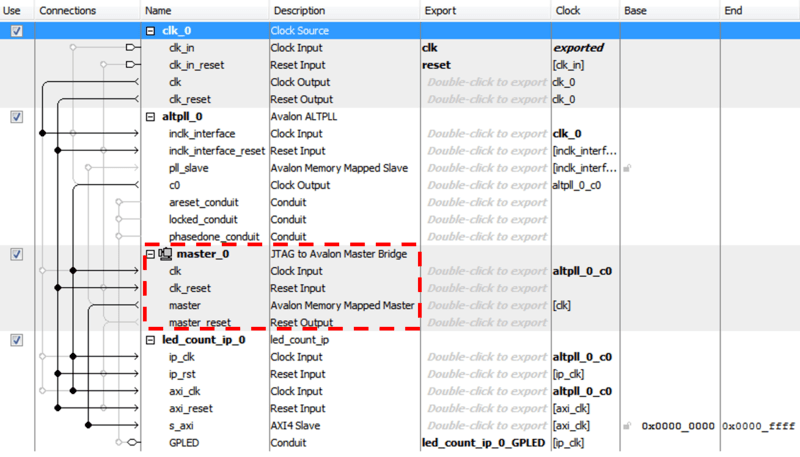 This example uses MATLAB as AXI Master IP from HDL Verifier™ or Intel Qsys™ JTAG to Avalon Master Bridge IP to access the HDL Coder™ generated registers. MATLAB as AXI Master provides access to FPGA registers from MATLAB directly. When you use Intel Qsys™ JTAG to Avalon Master Bridge IP, you can access the FPGA registers using Tcl commands in the Qsys System Console. 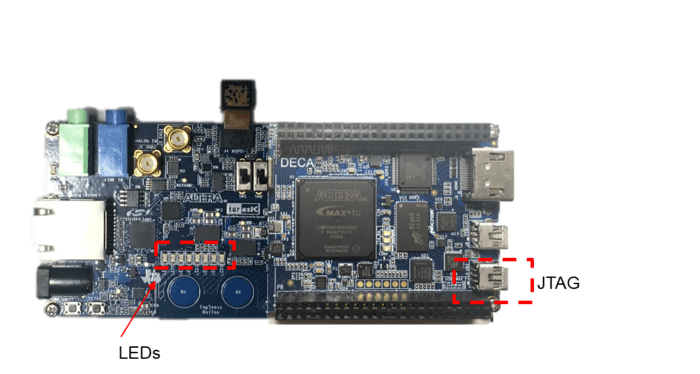 The FPGA design is implemented on the Arrow DECA MAX 10 FPGA evaluation kit. There are two reference designs included in this example. The first reference design, "Altera JTAG to AXI Master", uses Quartus IP for the JTAG to AXI Master and therefore requires using the Quartus Tcl console to issue reads and writes. The second reference design, "MATLAB as AXI Master", uses MathWorks IP and a MATLAB command line interface for issuing reads and writes. 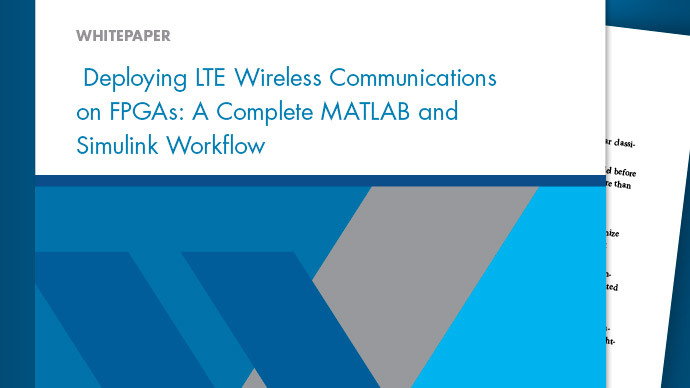 Note that the MathWorks version requires an HDL Verifier license to use. The two reference designs are nearly identical, except for the JTAG Master IP shown in the block diagram. %   Copyright 2016-2018 The MathWorks, Inc.
6. Assign register ports to the "JTAG AXI4 Interface". The table displays the hex offset you can use to access the register. or see the Intel documentation ug_system_console.pdf for more details. Then use the variable to open the JTAG Master in master mode. If HDL Verifier support package for Intel FPGA boards is installed and the reference design "MATLAB as AXI Master" reference design is selected, then a simple MATLAB command line interface can be use to access the IP core generated by HDL Coder. Finally, you are done using the JTAG Master. Delete the object to free up the JTAG resource. If the object is not deleted, other JTAG operations such as programming the FPGA will fail. Using a JTAG to AXI Master is a simple way to interface with HDL Coder™ IP core registers in systems which do not have an embedded ARM® processor, such as the MAX 10. This can be used as first step to debug stand-alone HDL Coder™ IP cores, used prior to hand-coding software for soft processors, such as Nios® II, or as an easy way to tune parameters on a running system.